Hey Marvel, DC, Dark Horse - all of ya!!! Go and read the latest issue of the Judge Dredd Megazine. But since you probably won't bother then please allow me to quote none other than Alan Grant as he speaks about an artist you've passed by. It came as a definite shock. A blow. Out of the blue and when all the dust settles it'll go down as one of the more senseless losses that the Australian motion picture industry has seen in a very long time. 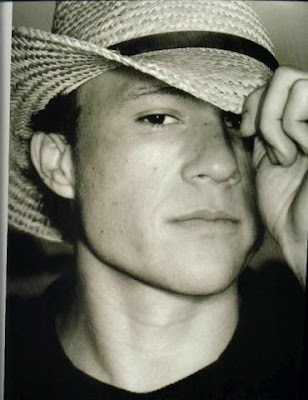 Cast off the controversy that surrounded Ledger and you'll find an actor that hadn't even gotten near his full potential. I first saw Ledger in the film Two Hands, where he more than held his own against Bryan Brown, an actor at the height of his powers. Ledger not only carried the movie but stole entire scenes from others such as Susie Porter and the then also rising star, Rose Byrne, and showed a poise and maturity beyond his years. That this movie isn't better known on a global scale is simply criminal. If you get a chance to see it then settle in and get ready for the ride of your cinematic life. It's a shame that most people won't get the chance to see it on the large screen, where it truly belongs. Following in the spirit of Michael Netzer's 'Open Letter To DC' I'd like to present the world with the following. 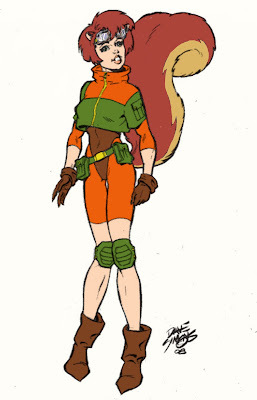 Just when I was bemoaning that Marvel can't do "cute" and "fun" any more, they come out with Squirrel Girl in Great Lakes Initiative. I just discovered her online. This is the kind of character that I love! It was no accident that I cut my inking teeth on Howard the Duck.